deliverance of the baby Jesus. a baby named Jesus, who would change the world. children whose birthday they think it might be. They'll probably get the answer right! Remind the children that the reason we celebrate Christmas is to honor Jesus' birthday. birthdays. Most will say, "get presents!" 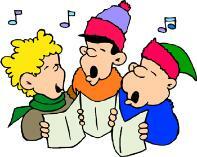 to our siblings, singing Him songs, etc. right spot on the wall. varying sizes into the cardstock to represent constellations. around this area as well. 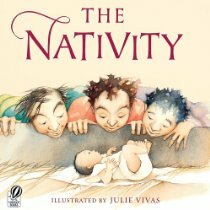 Read: "The Nativity" by Julie Vivas. 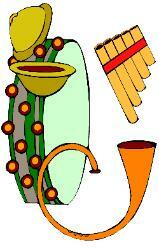 Remind the children that the letter "N"
wonderful way to tell the authentic Christmas story! paste these onto their "presents" to look like a gift-wrapped box. can cut out the candle and glue them onto the cake. use with your students during the Christmas season.